Sunrooms are a great addition to any home. Porch enclosures and sunrooms can be considered complete additions to your home, increasing the square footage and the value of the home. In addition to increased value, sunrooms can be enjoyed year-round filling your home with natural lighting. We understand any addition to your home can come with a lot of questions. We want you to rest assured that the experts at The Window Source have the experience and products to give you the sunroom of your dreams. What will a sunroom cost? 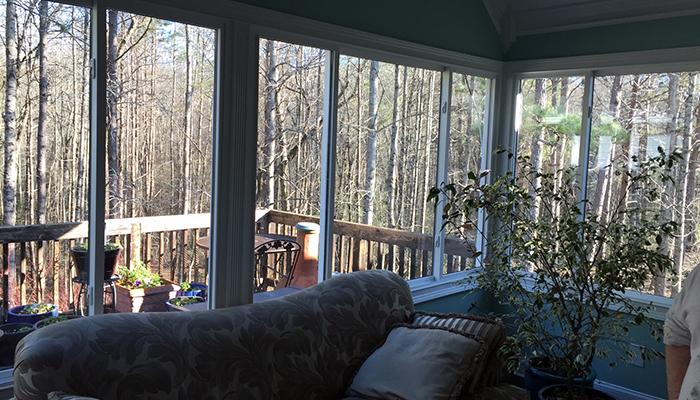 The Window Source Atlanta believes in upfront pricing. A porch enclosure sunroom can vary in price from $5000 to $10000 + depending on the size and specification. 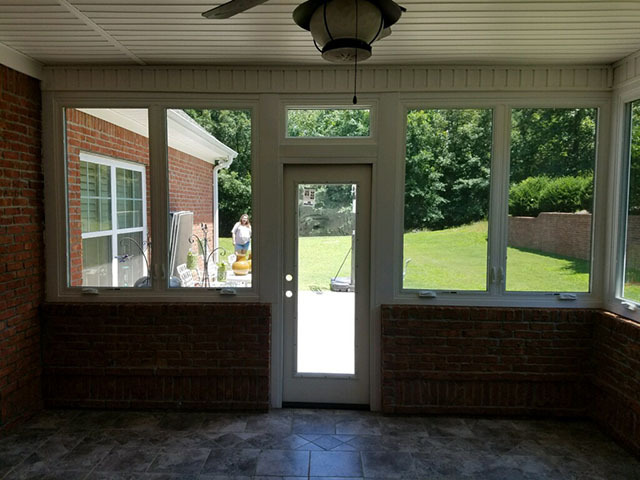 To get a price from The Window Source Atlanta, we will schedule an expert to come take a look and talk with you about the ideas you have in mind. We take measurements, show you the products we offer and give you a written price. We require a 50% deposit to start the project and we also offer financing options, including special financing for 12 months with approved credit. Beware of the company who starts with high prices and offers huge discounts if you buy on the spot. We understand the investment you are making and realize most people need time to think over options and pricing. You will never have to worry about high pressure sales tactics or gimmicks at The Window Source Atlanta. We can even give you a rough estimate via email with just a few photos and details. Installation of a sunroom can vary depending on the size. 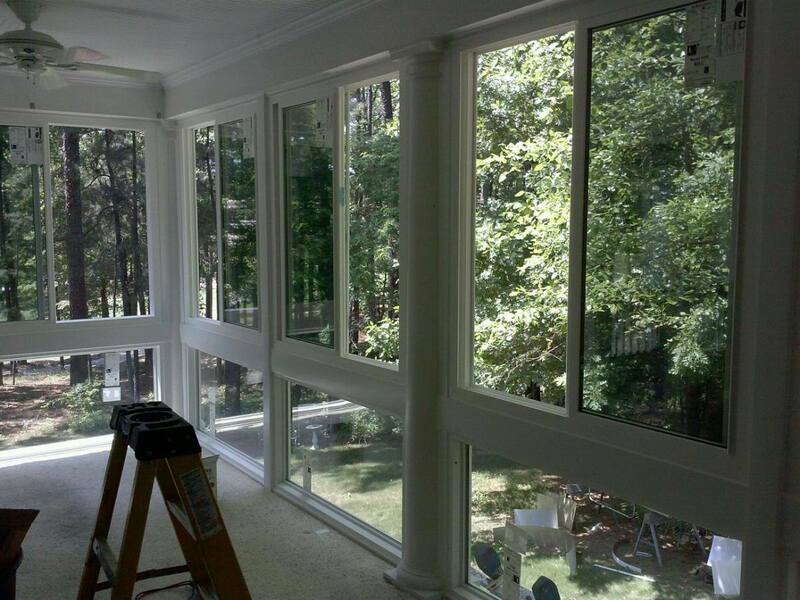 An average sunroom installation takes anywhere from 2-3 days up to a full week. During a consultation with an expert at The Window Source, we can assess the project and give you a time frame to expect. After placing an order with The Window Source we will order your custom made windows and all products needed to complete the project. 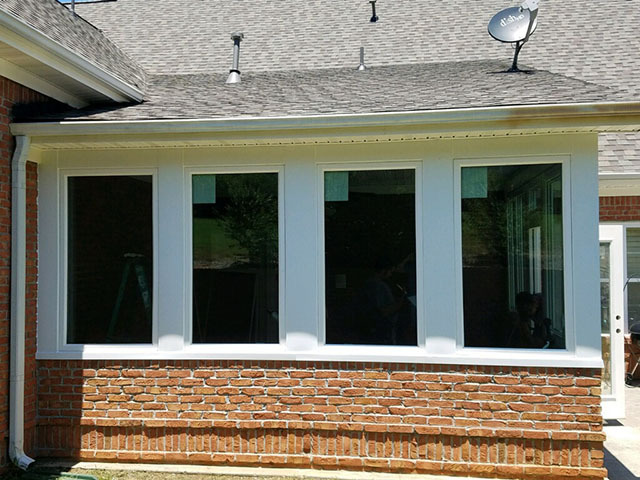 The sunroom materials will be delivered within 2-3 weeks after purchase and we will call to schedule your sunroom installation upon arrival. From purchase to completion you can expect about a 4-6 week period. Will a sunroom increase my energy cost? A common misconception about sunrooms is higher energy cost. This is simply not true, here is why our energy package will actually save you money on your energy cost. 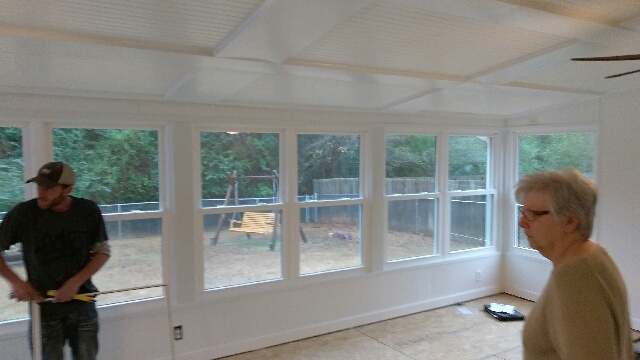 (Insert link,http://thewindowsourceofathens.com/products/energy-saving-lowe-glass/) A sunroom installed by The Window Source will never increase the energy cost in your home, not even in the scorching Atlanta heat. You will be able to enjoy a consistent temperature in your new sunroom year round. Do sunrooms increase or decrease the value of my home? Sunrooms with a lifetime warranty mean more living space and added square footage to your home, without a high maintenance cost. It’s no surprise that The National Association of Remodelers 2008 survey concluded that a sunroom additions retain 92% of the value when selling the home.https://budgeting.thenest.com/sunroom-addition With a sunroom, you can enjoy more living space in your home and relax knowing you can recoup your investment if you ever sell your home. Does a sunroom from The Window Source include a warranty? 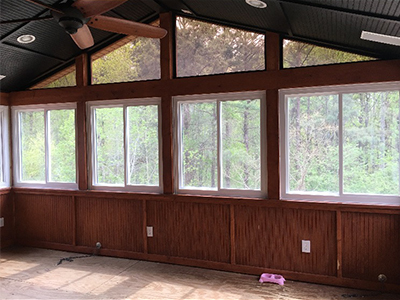 To find out more about sunrooms offered by The Window Source Atlanta, give us a call 470-275-5159 or request an appointment online.